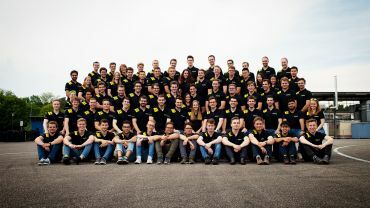 As in 2018, RONAL GmbH will once again be sponsoring one of the three racing cars of the KA-RaceIng team from the Karlsruhe Institute of Technology (KIT) in 2019, with which the students will participate in the Formula Student international design competition. 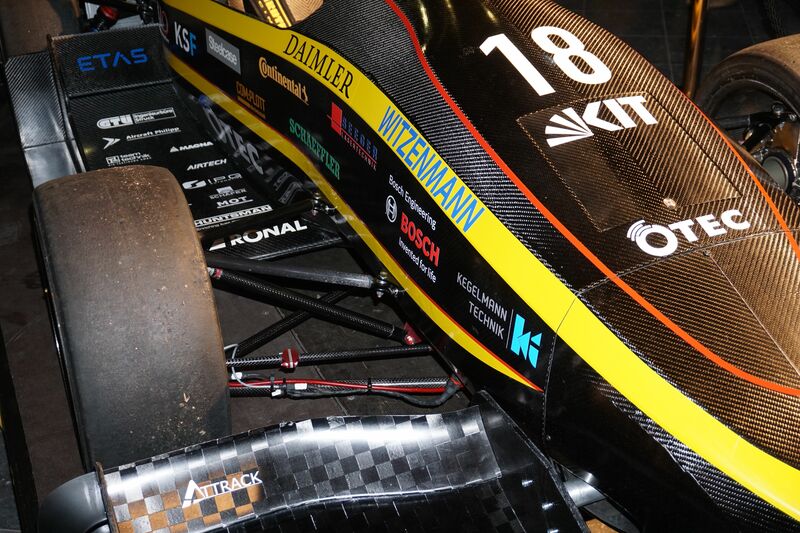 Formula Student was launched in the US in 1981 as a design competition for students. There are now more than a dozen competitions worldwide, in which teams compete against each other using their self-developed racing cars. When designing the single-seat vehicle, the overall package is crucial: in addition to speed, very good driving characteristics such as acceleration and braking power are just as important as aesthetics, endurance and comfort. The financial and sales planning is also assessed as part of the overall concept.by the jury, consisting of experts from the motorsport, automotive and supplier industries. 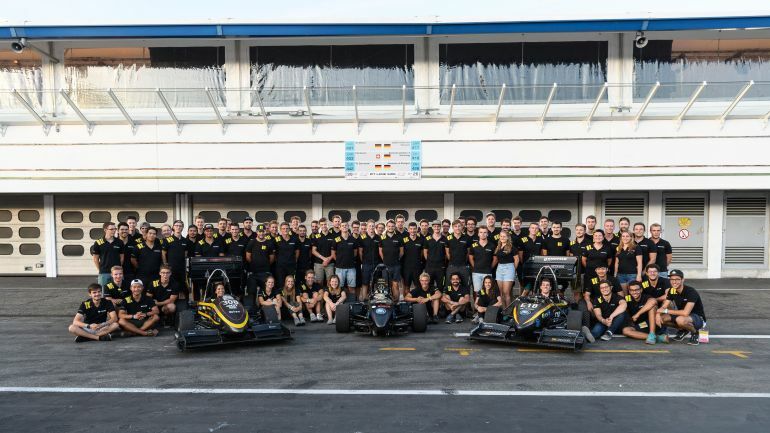 In Germany, the students present their self-constructed racing cars at the annual Formula Student Germany event at the Hockenheimring, which takes place this year from August 5th to 11th. We reflected on last season with Christian Götz, team member in 2018. Christian, which cars did you use in the 2018 season? Could you give me a rundown on some of their features? 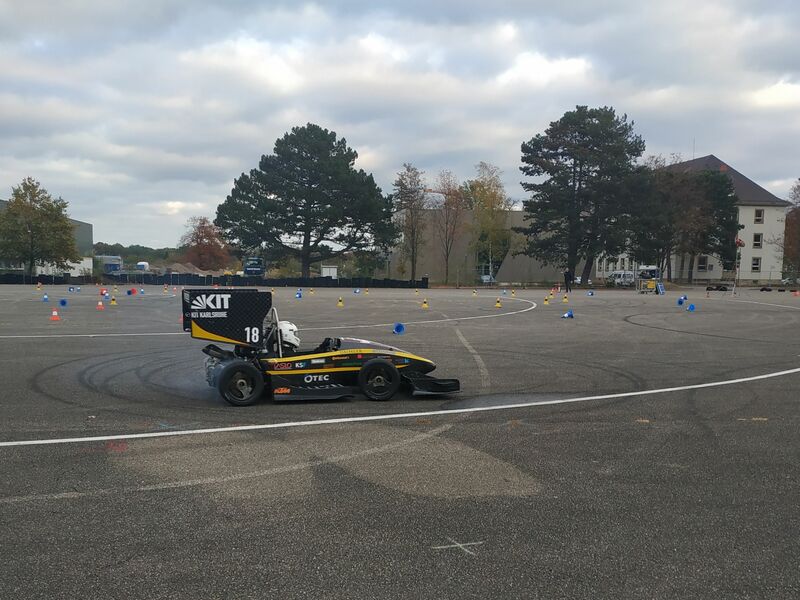 We have developed a car with an internal combustion engine, an electric car with four electric motors and an autonomous racing car, which negotiates the traffic cone course completely independently. I was in the team working on the electric car/electric drive and developed the gears there. How did you come to Formula Student? I actually heard about it through my roommate, who was at an information event at the university at the start of his studies. After my third semester, I just went along to an information evening because I thought it sounded cool, and that’s I how got to know about KA-RaceIng. I had never heard of it before that. What were your tasks and goals at the beginning of the season and how did you implement them? In principle, everyone gets assigned a component at the beginning, which they are supposed to develop over the season. Our goals vary depending on the vehicle, whether it’s in terms of weight, aerodynamics or chassis. In the KIT18c, the racing car we have with an internal combustion engine, the basic vehicle concept led to further development of the car from the previous year, but with some key changes such as the incorporation of a turbocharger and a newly developed aerodynamics package. 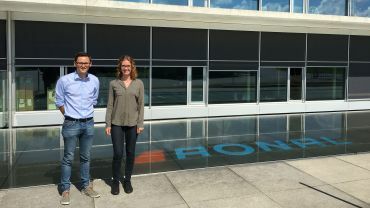 Thanks to professional project management and the active support of RONAL and all our partners, we were able to almost completely conclude the production phase before the rollout at the end of April. 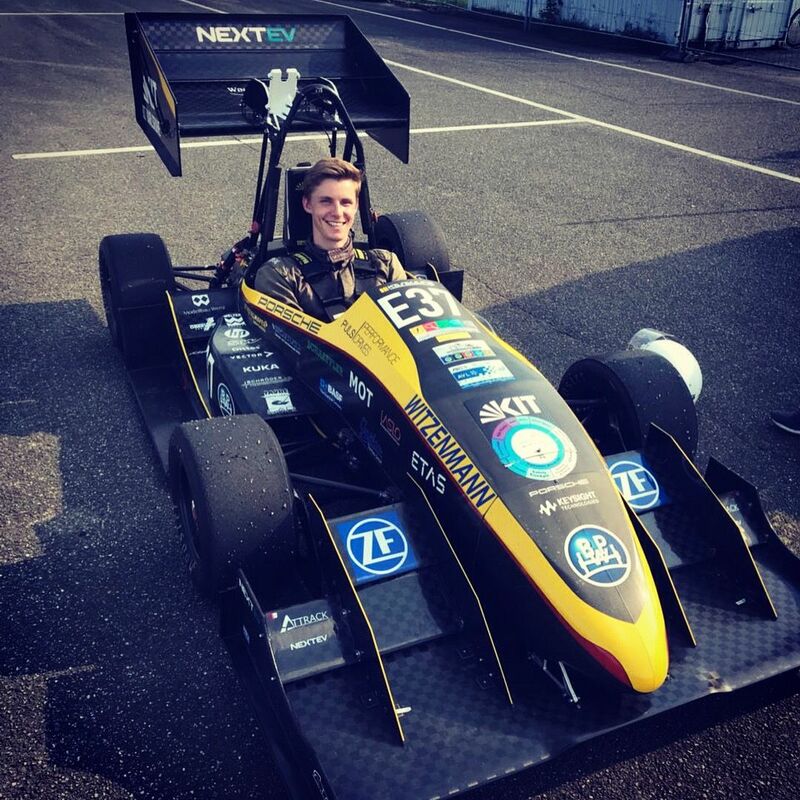 We managed to get over 500 valuable test kilometers under our belt before the first event in Hungary (Formula Student East). In terms of our electric vehicle, the KIT18e, after three years it was time for change that heralded comprehensive innovation. This involved not only the development of new engines and a new battery system, but also the redesign of the chassis, the aerodynamics and especially the monocoque (chassis). In terms of the driverless KIT18d, the software and hardware package has undergone significant change. In addition to further developing the self-written algorithm, we were able to make progress early in the season with new sensor technologies and placements. With the incorporation of a total of four LiDAR sensors and three cameras, we have been able to further improve our performance. We have removed the front and rear wings in order to increase the field of vision and reduce weight. The decision to remove aerodynamic packages is based on the results of our lap time simulation. What are you studying and how does it fit with the project and your tasks? I am in the 6th semester of my mechanical engineering degree, which is a perfect fit. I wanted to be responsible for a mechanical component within the team so as to be able to practically apply and deepen the knowledge I have gained during my studies. In addition, I felt it was important to learn more about the concept of electric drives. In this respect, my optimal task was to develop the transmission within the electric drive. Are all your team members studying this subject? If not, what are they studying? Traditionally, of course, we have a lot of mechanical engineers in our team, but we also have many electrical and mechatronic engineers, some computer scientists and people who are studying industrial engineering or marketing, for example. Every year we have about 80 active team members and many more alumni who are on hand to offer help and advice. Read part 2 of this interview next week!